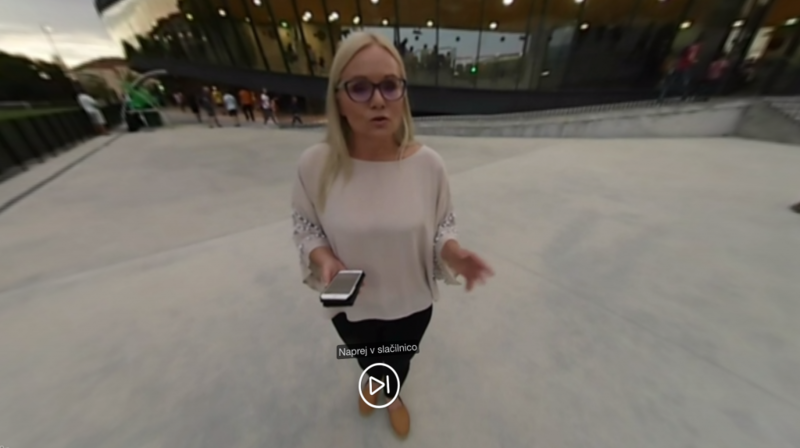 Slovenian news media are continuing with VR immersive reporting. 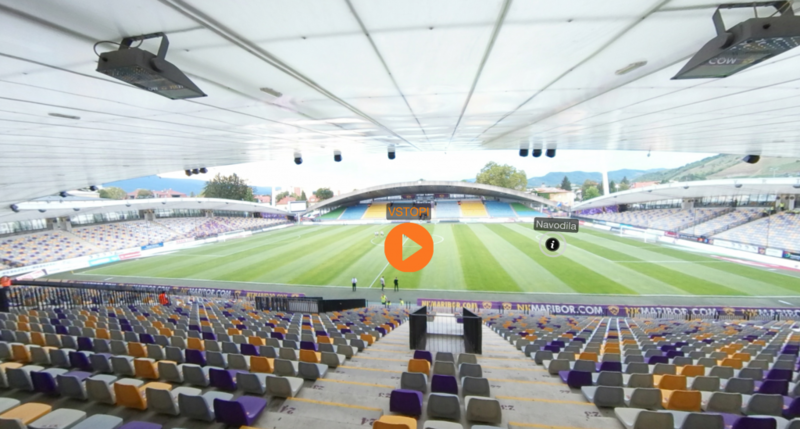 This time, a news company Vecer prepared and published a 360 VR experience covering the important soccer match between FC Maribor and HSK Zrinjski Mostar. The winner of the match would have a higher chance of qualifying for the European Championship League. Maribor already won the first away game with the result 2:1. Similar as Planica360, Vecer is also covering a sports themed report. In this VR story, the viewers can look behind the scenes of the soccer match. Download the full case study at the bottom to get the detailed analysis and results! This case study is an example of how a small local newspaper can use cinematic virtual reality as a new storytelling medium without having to change their current production workflow drastically. Večer is a local newspaper company that is becoming more and more digitalized. The city of Maribor, where Večer is also headquartered, has a strong football team called FC Maribor. Večer wanted to create a special experience that would tell the story of how the football players get ready for the game and how the game itself looks like from positions that are not usually accessible to everyday football fans. The 360 VR story was published online and promoted through the newspaper edition and social media channels. A local newspaper company can integrate 360 VR storytelling into their portfolio of tools. By finding 360 VR content in a familiar place and not having to download anything, most people will view and interact with it. Sports are a good example of where 360 VR technology can be used to tell a story from a unique perspective for the viewer. On the 19th of July FC Maribor was due to play FC Zrinjski. The match was the second leg of the second round UEFA Champions League qualifications. The game was being played in Maribor (Slovenia, EU). Večer’s readership is the same audience that follows FC Maribor. Večer wanted to create a special experience that would tell the story of how the football players get ready for the game. They also wanted to show how the game itself looks from positions that are usually inaccessible to everyday football fans. The story needed to connect some scenes together into a linear narrative and some scenes into a branched narrative. The scenes from the preparation to the match were told through a linear story, and the scenes from the match were branched into parallel storylines. After the initial set of scenes, the viewer decides which action he or she wants to see next. They can decide to take a look from the bench, see the ending of the game or look at the two goals that had happened in the game. This type of reporting gives the viewer an option to choose what to watch. 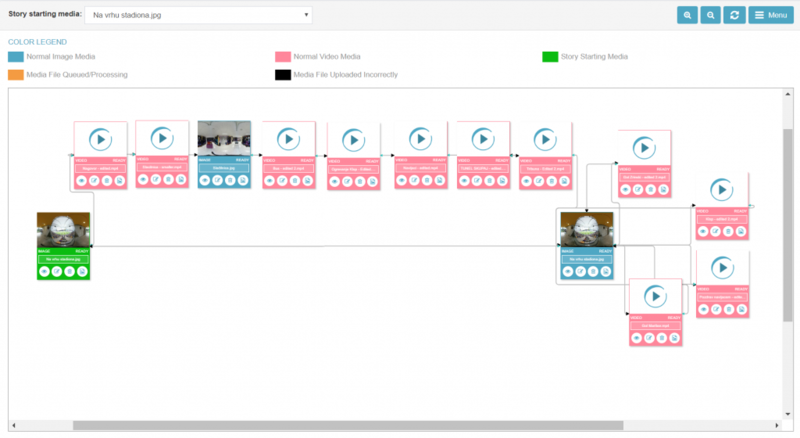 This has been successfully implemented in Planica360 story where 27% of the story viewers returned to see the VR experience again from a different perspective or path. This kind of reporting includes hotspots where viewers can choose to get additional information about the venue, players or game itself. As you can see below, in the NK Maribor lockers, the viewer can interact with players images to learn more about them. They can learn more about their age, height, nickname and past teams. On the day of its release, the article with the 360 VR experience was the most viewed article on Vecer.com. To read the stats from Večer’s case study download the full case study. Interested in creating your own VR experience? Sign up for Viar360 and start creating.